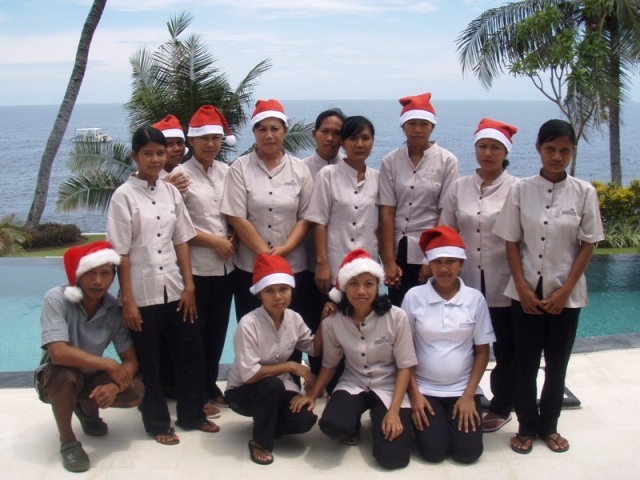 We have created a special Xmas gift exclusively for you at the Alam Anda Ocean Front Resort & Spa in Bali. If you book 12 consecutive nights over Christmas and/or New Year’s Eve, you only have to pay for 10 nights. We’ll give you two nights free of charge! The only requirement: At least one night of the below dates need to be included in your travel period. December 24/25/26 or December 31, 2018. The offer is valid for overnight stays including breakfast. Further information and booking at book@alamanda.de or by phone at +49 4182 238 96 00.